In addition to membership, there are a variety of ways your support can help provide funds for essential services and ongoing programs at the JCC. For more information or to begin your sponsorship, contact Aliyah Kuchinsky at 210-302-6827. LIFE & LEGACY is a 4-year partnership program of the Harold Grinspoon Foundation (HGF) that assists communities across North America, through partnerships with Jewish Federations and Foundations, to promote after-lifetime giving to benefit Jewish entities. LIFE & LEGACY motivates Jewish organizations to secure legacy gifts, steward donors and integrate legacy giving into the philanthropic culture of the Jewish community. In San Antonio, eleven Jewish organizations have signed on to this initiative to collectively work together in securing legacy gifts which will support specific needs in the Jewish community for future generations with The Jewish Federation of San Antonio as the lead partner. To learn more about LIFE & LEGACY at The Barshop Jewish Community Center, email Aliyah Kuchinsky. Sponsors receive recognition in conjunction with the event or program they supported. Additional entitlements, such as digital and print ads and more, are also available. 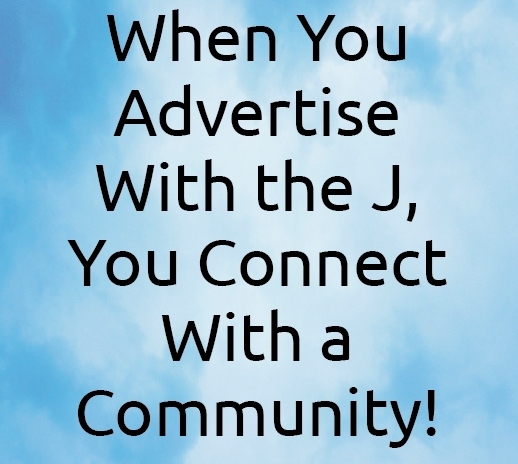 and more exposure for your business that meets your goals and our member's needs! Reach thousands of young athletes, their families and spectators with your message. Show team spirit, honor your child and his/her team and promote a business all at the same time. Support Youth Sports, such as our Soccer Academy, Spurs Youth Basketball League, flag football, tennis, swimming, and more, at the JCC and receive a 5’ X 2.5’ full-color banner to be displayed on/at the JCC ball field, gymnasium, tennis courts, and/or pool (as appropriate). 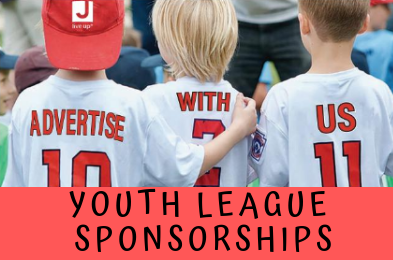 Your support helps defray the costs associated with league expenses while helping to maintain affordable league fees. These local businesses or organizations make an annual commitment to support the JCC through financial and/or in-kind support, which positively impacts our programs and services. 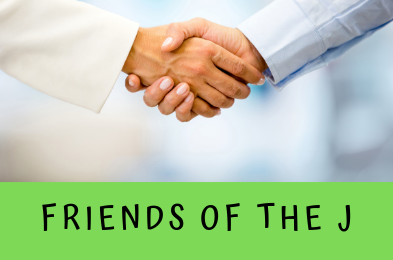 Our ‘Friends’ choose the events and entitlements that best suit their business and interests and are recognized on our digital screens, at our Annual Meeting, and in special event programs. A BIG thank you to all our Friends of the J! Honor, remember, congratulate or wish someone well by contributing to one of the JCC's Tribute funds. For your convenience, donate online, call 210-302-6862 or pick up a Tribute form at any JCC Courtesy Desk. 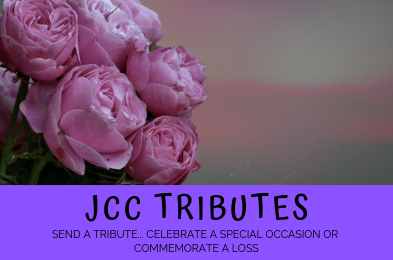 Your tribute will be recognized in the JCC Center Peace, should you choose, and an acknowledgement will also be sent to the designated recipient.